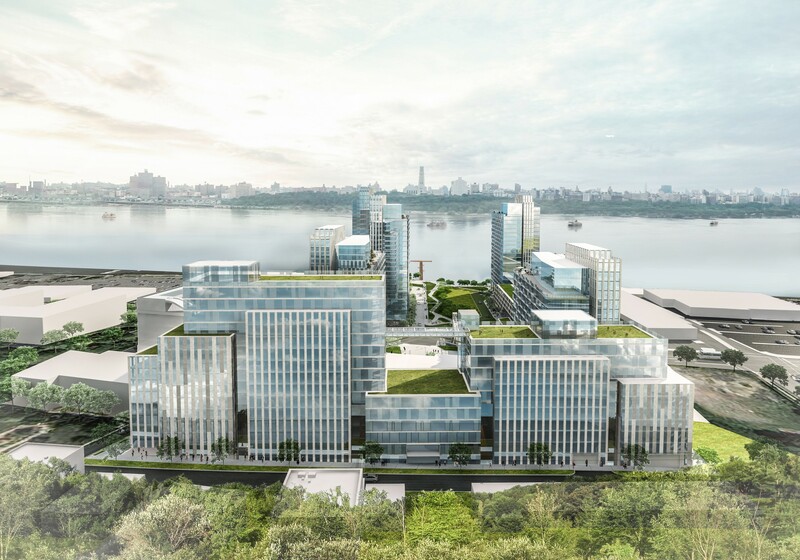 The proposed redevelopment of the Hess site will allow the borough to reclaim a piece of waterfront property that was used for heavy industrial work for many decades. Our plan will not only give residents greater access to the waterfront, but will provide a substantial amount of tax revenue to the borough and will provide substantial tax relief to homeowners. The project will feature five state-of-the-art buildings ranging from 18 to 25 stories that were designed by the internationally renowned firm of FX Fowle of New York. The proposal includes approximately 1,800 living units, two-thirds of which will be studio and one bedroom units that will be ideal for young professional looking for their first apartment and an easy commute to Manhattan. The studio and one bedroom units will minimize the school age population at the site. Our proposal is in accordance with many other residential developments in the borough that have received variance approvals from the Borough Zoning Board in the recent past. The 615 River Road project includes 60,000 square feet of retail space suitable for restaurants and shops that will provide all residents with new and exciting entertainment experiences on the waterfront. The planned redevelopment situates the buildings in a manner that preserves a visual corridor from River Road to the Hudson River and New York City skyline. A multi-acre public park will be constructed on site and will be accessible for all borough residents to enjoy at no cost to taxpayers. The development will include ample public parking for those who visit the park or any of the shops and restaurants. When completed, the development will generate approximately $12.3 million in annual tax revenue for the borough, which is more than 40 times the amount of revenue that the borough is currently receiving from the site. The tax revenue derived from the new development will help offset the escalation in property taxes in Edgewater that have climbed from an average of $6,782 per household in 2012 to $8,183 per household in 2016, — an increase of more than 20 percent. In contrast, the borough’s proposed condemnation of the site would eliminate all tax revenues from this unique and extremely valuable property. The developer proposes to construct public parks on both the eastern and western parcels of the site. 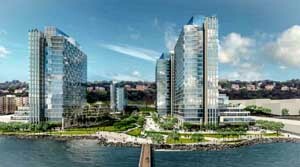 On the eastern, or waterfront, side of River Road, the developer proposes to construct Edgewater Green, a lavishly landscaped, multi-acre park accessible to all residents. 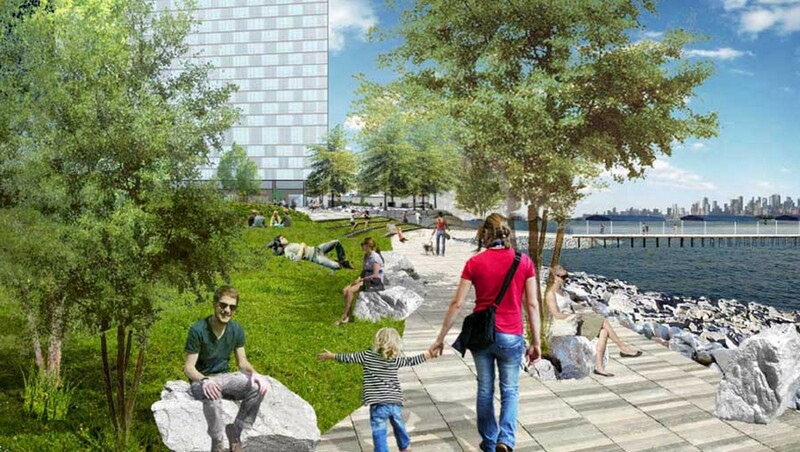 Edgewater Green will include green lawn areas, trees, shrubbery and flowers. Amphitheater seating will be built directly on the Hudson River so that Edgewater residents can enjoy sweeping vistas of the New York City skyline. 615 River Road Partners also plans to construct a riverfront public walkway that will connect with existing sections of the riverfront promenade. Space for cafes and restaurants will be constructed along the shoreline providing patrons with panoramic vistas of the Hudson River and the New York City skyline. 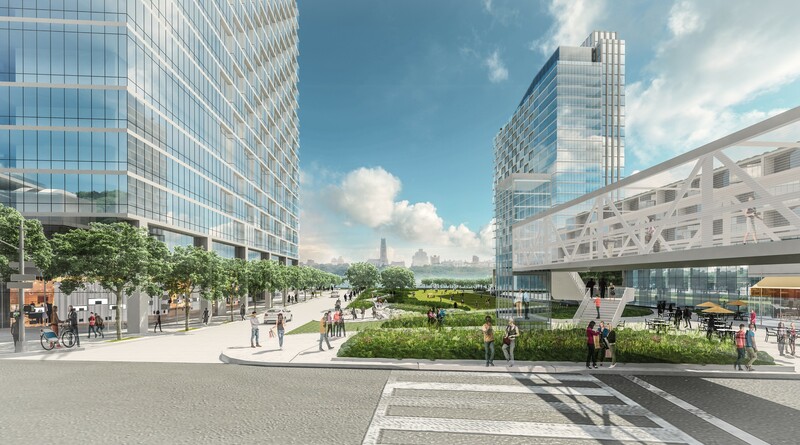 On the western side of the development, 615 River Road Partners proposes a landscaped park along Undercliff Avenue that will be elevated 50 feet above River Road to provide breath-taking views of the River and New York City. The proposed parks incorporated into the development would be built and maintained by the developer at no cost to taxpayers. 615 River Road Partners proposes to construct at their expense, a bus “super stop” for NJ Transit and other bus companies that features loading lanes for both north and south bound buses along River Road. The loading zones would allow buses to pick up and discharge passengers without stopping traffic on River Road, which is one of the current causes of traffic congestion along River Road. . The bus super stops will help alleviate traffic along Edgewater’s main thoroughfare. The new bus super stops would be linked by a pedestrian bridge so that pedestrians could safely access both the east and west sides of River Road. The construction of a pedestrian bridge will be built at the sole cost of the developer. The bus super stop was recommended in a regional transportation study for the Bergen County and the North Jersey Transportation Planning Authority. The plan also includes construction of a new ferry stop on site that would include upgrading the existing pier for use as a ferry access location, constructing passenger waiting facility and providing parking for ferry passengers. The current waterfront site has a small parking area that is primarily used for boat storage.